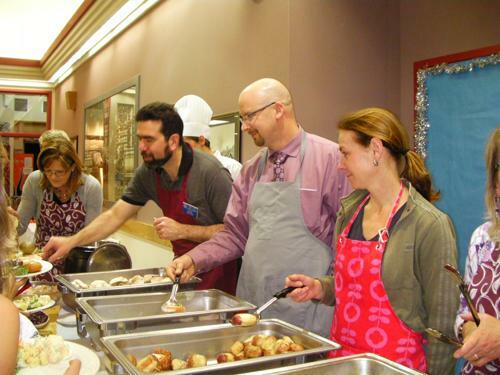 Several members of the our Rotary Club and Interact Club helped serve a wonderful meal prepared by the Brooks Highschool Culinary Arts students on Wednesday, December 7th, 2011. After the dinner, Santa stopped by to give the children amazing presents. This year, 165 people attended our Community Christmas Dinner. 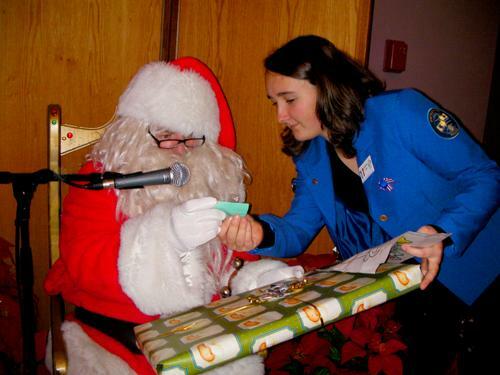 Exchange student from Belgium, Claire Vandamme, is Santa's little helper. Look's like Santa had a tough time reading that child's name.